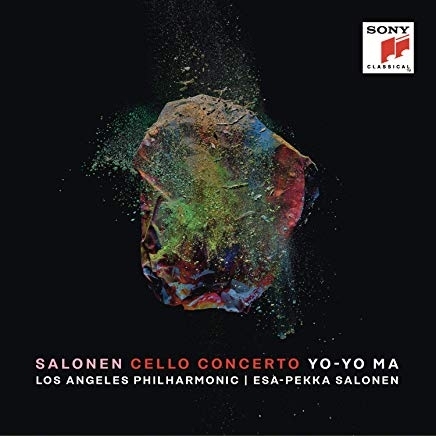 Esa_pekka Salonen about the album: "Some of the ideas for my Cello Concerto can be traced back by at least three decades, but the actual material for the piece was mostly developed in the summer of 2015 when I decided to spend a few months researching for new kinds of textures without a concrete plan how to use them. I decided to use some phrases from my 2010 solo cello work ...knock, breathe, shine… in the second and third movements as I always felt that the music of the solo piece was almost orchestral in its scope and character, and would function well within an orchestral environment. I have never - not even during the quite dogmatic and rigid modernist days of my youth - felt that the very idea of writing a solo concerto would in itself be burdened with some kind of dusty bourgeois tradition. A concerto is simply an orchestral work where one or several instruments have a more prominent role than the others. A concerto does not suggest a formal design the same way a symphony does. I also happen to like the concept of a virtuoso operating at the very limits of what is physically (and sometimes mentally) possible. In Nietzsche’s words: "You have made danger your vocation; there is nothing contemptible in that.” (No programme note feels complete without a quotation from Thus Spake Zarathustra.) I have learnt, however, that virtuosity doesn’t limit itself to the mechanics of playing an instrument. A true virtuoso can also capture the beauty and expression in the quietest moments, to fill near-stasis with life through a musician’s imagination and ability to communicate. In my other life as a performer I witness that almost every day: how musicians can create meaning from a single note. The composer-me is humbled by it, but also deeply grateful. After all, all those symbols on paper mean nothing until somebody gives them life. It has been a very great pleasure and honour to write a concerto for one of the most unique life-givers and communicators of our time, Yo-Yo Ma. It has been inspiring to know that his technique knows no limits. Perhaps more importantly: nor does his imagination.